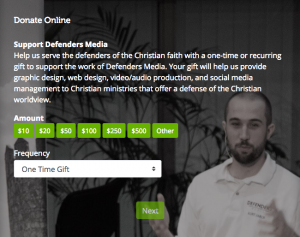 Passwordless Giving, No Captcha Checkouts, and More! Today, we released a complete redesign of the GivingTools checkout experience. Not only will donors no longer have to enter a password to make donations, but they also won’t have to select road signs from a bunch of pictures! What we’ve done: we’ve merged the second and third steps of the checkout experience into one step. In this new, consolidated step, donors fill out your custom fields, enter their email address, provide billing details, and select their payment method. They can also review their donation finally before hitting the checkout button. No password is needed, not for the first gift, the seond, or the 200th. You will still need a password to access your account history, though. This update will add a new level of convenience that many have requested without reduction of the security of your data. In fact, your data is more secure through our passwordless system than using the old system! We’ve also removed the captcha requirement. Instead of prompting every donor to pick out road signs, we created what we like to call the “Advanced Fraud Detection System.” While its implementation details are a trade secret, what we can tell you is that if it detects a bad guy, it’ll make them mine cryptocurrency! Furthermore, this tactic is easily scaleable. The more “badness” it detects, the more computational power will be required to continue. We hope that this method will ensure that legitimate donors will never have to complete a captcha and will experience a more streamlined checkout experience. Previously, a donor’s account could only have one recurring payment method. This caused concern as manually entering a recurring gift would end up overwriting the donor’s existing recurring payment method. Furthermore, we required donors to log in first to prevent anyone from overwriting the donor’s account. To solve this problem, we added the ability for each gift to designate its own payment method. 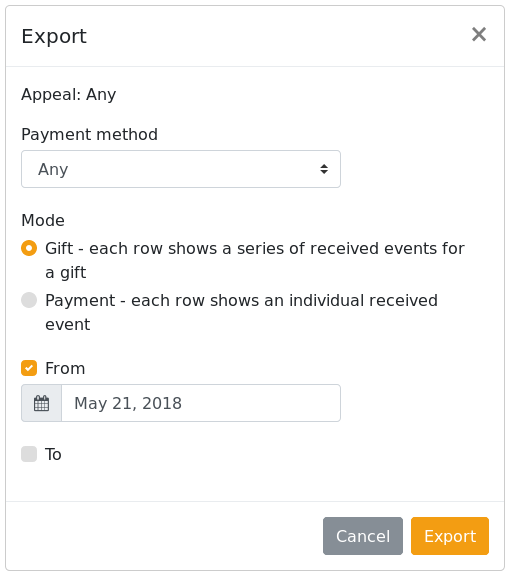 This allows manual entered gifts to use a separate payment method as well as allowing anyone to make a gift and not risk modification of the donor’s account. With this update, we’ve also added the long-awaited recurring receipts! For each installment of a gift, the donor will receive a receipt outlining the gift’s history, total billed, and the tax deductible amount. More convenience. Higher security. We’re working hard to constantly improve GivingTools, and we appreciate your feedback! You should get a TLS (SSL) certificate for your organization’s website if you don’t already have one. While the embedded portal to GivingTools is done over a secure connection, crackers can still perform a man-in-the-middle attack and steal donor information. Additionally, starting in July 2018, Chrome will label all sites as “Not Secure” unless you have a TLS certificate. This will be very bad for contributions when donors see a big red “Not Secure” warning on your website. To combat this problem, we highly recommend our customers get a TLS certificate for their websites. In the past, certificates could cost an upwards of several hundred dollars per year. But since early 2016, Let’s Encrypt, a non-profit, has been providing free (really!) TLS certificates. Your first step would be to talk to your hosting provider. Ask them if they provide free TLS certificates. Reputable providers that care about security will usually provide these for free. A list of providers that support Let’s Encrypt can be found here. If your service provider doesn’t offer free TLS certificates, it may be possible to use Let’s Encrypt directly. We suggest you talk with your IT professional, if you have one. There are some great instructions over on their website. If you don’t have an IT person, the third option would be to use Cloudflare. On Cloudflare’s free plan, they not only provide free TLS certificates, but they also provide free DDoS protection and many other benefits. Troy Hunt, a well-known security expert, has made a free guide on HTTPSIsEasy.com. The past few weeks have been quite busy. Among other things, we have enhanced the CSV export functionality as well as redesigned our recurring gift subsystem. Pressing the button will bring up a new Export dialog. This gives you the option to specify the payment method, mode of export, the range of dates you would like to include. Selecting the appeal can be done above the graph on the reports page. The Mode setting may be a bit confusing, allow me to explain. 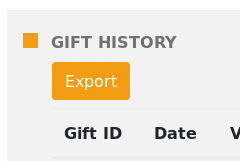 In this mode, each row in the CSV export will represent a single gift. If the gift is one-time, there will only be one row. If recurring, all installments to that gift will be consolidated into one row under the Received Events column. This mode is probably more familiar. Here, each row in the CSV export will represent a single payment. For a one-time gift, there will only be one row (as before), but for recurring, installments will be spread out over several rows. Since the launch of GivingTools 2.0, some of our customers experienced issues with recurring gifts—gifts would fail to recur, be prorated, or bill several installments at once. We dealt with this as reported, but sought a systemic solution to enhance the reliability of our system. The ability for second-time donors to donate without a password—this has been a major concern for many of our customers, and we hear you! Being able to associate a recurring gift with a specific payment method instead requiring them to all use the same payment method. Improved error reporting for card expiration and replacement. These features will start rolling out over the next several months. And of course, we’ve done a TON of minor enhancements and stability improvements all over the place. If you have an idea on a feature that you’d like to see, just let us know. You want to manually enter a donation you received by check—so that the donor gets a receipt and so that you can track this person’s giving. As you now have access to that donor’s personal account, if you ever figure out what their real email address is, you can login as the donor, go to their account, and update the email. Update July 2018: This post is outdated. To change the style of your forms, use the embed wizard instead. GivingTools online giving enables you to embed forms into your website, making them look like a part of your site. To do it, you use a code snippet found in your dashboard under the Giving Form you wish to embed. That code is great for most sites, providing a scalable and attractive presentation that looks great. And transparent background or not, don’t forget to snag a security certificate for the page you embed on. Get one free here. If you are planning a capital campaign, try out our “Campaign Pledge” appeal type. You’ll find it in your dashboard under Appeals. This appeal type enables donors to make a total pledge and then set up regular payments to fulfill it. Interested in a robust capital campaign website? We also offer those…and we can drop your campaign pledge appeal right into a campaign website. To learn more about why a capital campaign website may be a wise idea, visit this article. To ensure a secure environment, our service has built-in tools to warn users if their browser is out-of-date and provides a simple link to update it. This table shows what browsers are supported and which are not. For the most part, if your browser is younger than about five years old, you’re fine. We’ve added a new landing page to the GivingTools online giving dashboard. Of course, you know that already as that’s probably how you found this blog entry! For now, the landing page shows our blog plus a series of product tips (accompanied by some animations created by our talented staff). We were finding that customers (new and long-time) could sometimes use a little help discovering some of the great features that make GivingTools such an amazing platform. Our product tips help prompt folks to consider the possibilities present in our new 2.0 platform. There are also changes you should never notice, like an enhanced error tracking system that alerts us the instant any donor experiences an error and enables us to contact them with information and to secure the gift. GivingTools has evolved based on the input of our customers. This platform is designed to maximize the good you can do in the world, and by helping us do our job better, you are helping hundreds of nonprofits by improving the system they use. Please do not hesitate to let us know if you think of a feature that would benefit your donors. Our per-customer profit is very low, and this, we think, is a good idea. Why? Because while we have less money to spend on advertising, happy customers tell others about us, and the word spreads. We hope that if you like our service that you will tell a friend. Consider telling fellow nonprofits or leadership at a regional or even national level. And if you are not entirely delighted with GivingTools, we want you to be. Let us know how we can do our job better. We want every customer to be a GivingTools evangelist (because our chihuahua can’t do it all, you know? ).